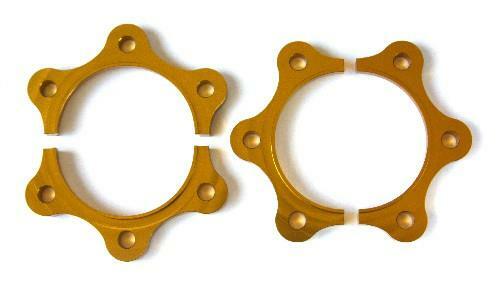 The BLOX Racing half shaft spacer kit is specifically designed for lowered Honda S2000s. When the vehicle is lowered, the angle of the driveshaft is altered, causing play between the driveshaft roller and spider. This, in turn, causes and places stress at the CV joints and differential output shaft bearings. The result is a prominent “clicking” and, worse, rear-end vibrations. The BLOX Racing half shaft spacer kit helps alleviate the stress, and associated wear, at the CV joints. Recommended for vehicles lowered 1.25” or more.